David Blank is a partner in the firm's Health Law and Litigation Practice Groups and leads the firm's Fraud & Abuse Compliance and Litigation team. David’s primary practice areas focus on fraud and abuse, corporate compliance and governance, and litigation matters. 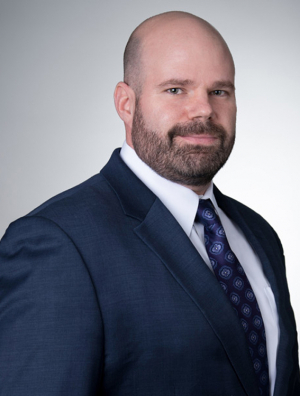 His experience as agency counsel, federal prosecutor, and defense attorney makes him uniquely qualified to counsel clients in nearly every aspect of the health care enforcement and compliance arena. David joined the firm following a distinguished career in the federal government. For over a decade, David served as senior counsel for the United States Department of Health and Human Services, Office of Inspector General (OIG), where he represented the Agency in health care fraud and abuse matters involving the federal False Claims Act (including the Anti-Kickback Statute and Stark Law), Civil Monetary Penalties Law (CMPL), and federal program exclusion authorities. His responsibilities also included resolving matters under the OIG’s Self-Disclosure Protocol as well as negotiating and monitoring integrity agreements with corporate entities and individuals to ensure compliance with settlement terms and existing laws, rules, and regulations. David served as OIG’s Litigation Coordinator, where he provided strategic advice to management and colleagues regarding office-wide enforcement priorities and litigation initiatives. David helped create and implement the OIG’s investigative and enforcement methods and strategies. His work laid the foundation for OIG’s creation of a dedicated litigation team focusing solely on the imposition of monetary penalties and the exclusion of individuals and entities under the CMPL. As the OIG’s most senior enforcement attorney, he led countless investigations and made over 80 first chair appearances before departmental administrative law judges and appeal boards. In addition, David served as OIG Exclusion Coordinator where he provided guidance and advice on all areas involving mandatory or permissive program exclusion and served as the subject matter expert in cases involving violations of the Public Health Security and Bioterrorism Preparedness and Response Act of 2002, and the Centers for Disease Control and Prevention Select Agent and Toxins Program. During his federal career, David was also designated a Special Assistant United States Attorney (SAUSA) in the Southern District of Mississippi to prosecute health care fraud matters. As a SAUSA, he served as the health care subject matter expert for the office and investigated and litigated matters from the grand jury process through trial and sentencing. His work as a prosecutor resulted in numerous indictments, three jury trials, and contributed to the conviction of 34 individuals and court ordered restitution in excess of $60,000,000. David was an instructor for the Academy for Civil Rights Investigators at DOJ’s National Advocacy Center in Columbia, South Carolina, where he trained attorneys and investigators on case development and litigation techniques. He also speaks nationally on topics related to health care fraud and abuse and is an active member in several health care industry associations.